Welcome to Month-Payday-Loans.Com board of frequently asked questions. Please, go through the main issues about short-term loans and the peculiarities of our service. If you will not find the answers to your questions regarding the use of the service or short-term loan industry in general, please, contact us to ask directly. Our expert team is happy to help you get along with short-term loans and understand how to make the best of this credit option and use it safely. This is a relatively small personal credit (up to $1,000) for 1-4 weeks (the terms vary depending on the regulations in different states). This credit option is associated with high acceptance rate, because the lenders secure it with borrowerâ€™s income. For this reason, many applicants may be approved despite their imperfect credit reputation and get access to this option in a relatively short time. 4.	one needs to have an active bank account for direct deposit. This financial product is considered relatively fast, because most processing can be performed completely online, and this online search and match service works 24/7. It takes just minutes to fill out the form and request a loan, less than an hour to process request and connect a customer with a lender. As soon as the lender is able to make final decision to approve the borrowerâ€™s application, the lender provides loan agreement. All one needs to do is to familiarize with the offer and make credit decision. If one opts for rejecting the loan offer, one can simply ignore further procedures and repeat loan request if necessary. If accepted, the loan agreement should be e-signed. Usually, it takes just one business day to have money sent to the borrowerâ€™s account (in case direct deposit option is available). In most cases, borrowers can get their money in as soon as one business day. Some lenders in our network need to perform credit verifications with traditional credit bureaus, the others may just check if an applicant is not a bankrupt or has no outstanding debts with other lenders. In many cases bad credit or lack of credit will not impede applicants from being approved, because short-term loans are secured by the borrowerâ€™s income. Nevertheless, low credit score and insufficient credit information may influence the amount and terms of loan offers, provided by lenders. Month-Payday-Loans.Com works as a matching service, which enables users to access reputable lenders and get better loan options. We donâ€™t have information regarding particular loan products or their terms. Nor do we make any credit decision. If the borrowers who used our service have issues regarding their loan contracts, they should contact their lenders directly. Sometimes borrowers find it hard to repay their loans on time due to unforeseeable circumstances. In these cases, most lenders allow borrowers to renew their loans for additional interest added to the total. This option can be expensive, so we recommend contacting lenders before these circumstances take place to avoid additional payments and penalties. In addition, not all the states allow renewals. One should first check the status of short-term loans and applicable laws, which regulate short-term lending in oneâ€™s state. Use the information on [Rates and Fees] page to find out more. What happens when one canâ€™t pay off on time or at all? The number of credit products taken simultaneously as well as the â€œcooling timeâ€� terms are determined by the laws of each state (if applicable). Additionally, every lender reserves the right to determine the maximum of simultaneous and/or consequent credit agreements within the limits of applicable laws. Itâ€™s recommended to inform a lender about current credit standing and the facts of defaulted loans before any agreement is signed. APR (Annual Percentage Rate) is the loan rate calculated for the annual term. 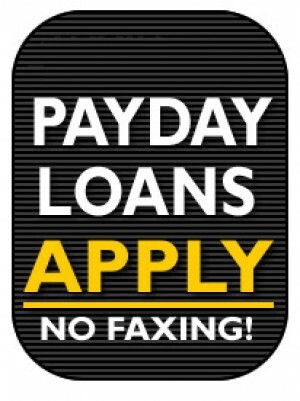 Since Month-Payday-Loans.Com is not a lender and has no information regarding the terms and other details of short-term loan products offered by lenders individually, Month-Payday-Loans.Com cannot provide the exact APR charged for any loan product offered by the lenders. The APRs greatly vary from lender to lender, state to state and depend on numerous factors, including but not limited to the credit standing of an applicant. Additional charges associated with the loan offer, including but not limited to origination fees, late payment, non-payment charges and penalties, as well as non-financial actions, such as late payment reporting and debt collection actions, may be applied by the lenders. 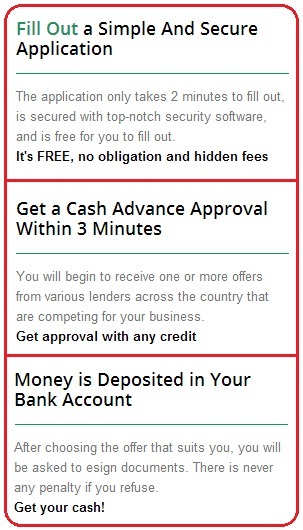 These financial and non-financial actions have nothing to do with Month-Payday-Loans.Com , and Month-Payday-Loans.Com has no information regaining whatsoever actions may be taken by the lenders. All the financial and non-financial charges and actions are to be disclosed in any particular loan agreement in a clear and transparent manner. The APR is calculated as the annual charge and is not a financial charge for a short-term product.